The average price for this game in the past 6 months is $9.50. The game first became 50% off on Sep 15, 2014 at GameStop. Lowest historic price was $4.96 on Sep 17, 2015 at GameFanShop. Three day discount on Grid Autosport down to $12.50 at GamersGate. Ties the price of the PC gaming Winter Sales in late 2015. 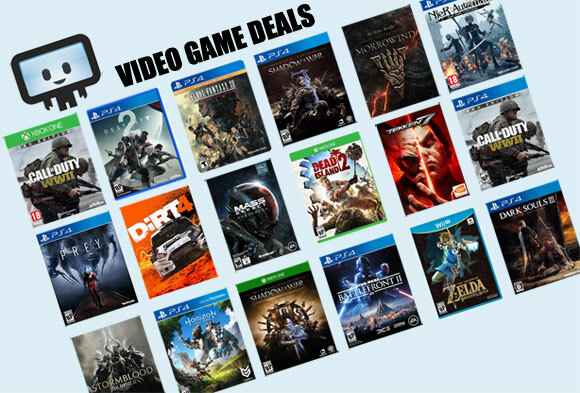 Grid Autosport has gone dirt cheap today at GameFanShop after a Dealzon themed coupon code. Lowest price ever by over $2 and $35 off the $40 you'll find it right now on Steam. Grid Autosport drops to $8 today in GMG's 2014 Revisited Sale. Lowest price ever by $2, even beating out the previous best price during the PC Gaming Winter sales ($10 at the time). Rarely is this game found under $20. The June 2014 released Grid Autosport down to a mere $16 today at GMG after coupon. Originally a $49.99 game, now a whopping $34 cheaper. Grid Autosport originally slated to release yesterday the 24th, has been pushed back to Friday the 27th on PC. If you wanted to get the "Black Edition Content Pack" pre-order bonus, there's an extended opportunity to do so and with a 25% off discount at GMG. The average price for this game in the past 6 months is $11.87. The game first became 50% off on Mar 19, 2014 at Green Man Gaming. Lowest historic price was $9.09 on Aug 6, 2018 at GamesPlanet. Grid 2 Reloaded takes a rare 73% discount after coupon and instant savings today at GMG. In addition to the savings you'll also get a "free mystery game" which is basically a free indie game like Rush Bros, nothing crazy awesome but a not bad. The average price for this game in the past 6 months is $7.49. The game first became 50% off on Oct 7, 2014 at Green Man Gaming. Lowest historic price was $6 on Mar 28, 2016 at Green Man Gaming. Own Grid Autosport but not its season pass? Today the PC SP is on the cheap at GMG. Instantly 50% off with a 20% off coupon to use for additional savings. Solid price point for a June 2014 released game. The average price for this game since released is $19.39. The game first became 50% off on Aug 2, 2013 at Green Man Gaming. Lowest historic price was $5.38 on Aug 6, 2018 at GamesPlanet. Grid 2 on PC slashed to six bucks this week in GMG's Spring sale. Pennies off its all time low and a rare 80% discount off the usual $30. New low on Grid 2 today at GMG. They dropped the PC Download 75% off the $30 list price and you can use the 20% coupon code to further discount down to $6 - cheapest ever $1.49. Grid 2 on PC falls to $7.50 today at GamersGate. That ties the all time low last seen in January of this year. On Steam and elsewhere, you'll have to fork out the full $29.99 list price, or $22.50 more. If you missed out on GMG's $10 deal on GRID 2, you have another shot at digital retailer G2A.com. This game has been price around $13 at various retailers during the current batches of Winter Sale but prior to that can be found around $20 to $25. More than $30 just a month ago, GRID 2 is now only $10 at GMG for the Steam key. This deal expires tomorrow so if you want Codemaster's latest into your collection, here's your chance. For about the next 48 hours GRID is free on PC at the Humble Store. First time the racing classic has been offered for $0. The average price for this game since released is $2.71. The game first became 50% off on Mar 28, 2016 at Green Man Gaming. Lowest historic price was $2.40 on Mar 28, 2016 at Green Man Gaming. The average price for this game since released is $7.20. The game first became 50% off on May 28, 2013 at Green Man Gaming. Lowest historic price was $2.81 on Dec 24, 2014 at Green Man Gaming. Its been a long time since its under $3 price (half a year ago!) - grab GRID in Steam's Summer Sale for a solid rally racer title. GRID 2 also at 70% off but we'd wait for the 80%+ deal to show up. Read all about GRID 2 but didn't even try GRID 1 yet? GMG has it on a big discount at $3 after coupon, just to entice you further. The average price for this game since released is $75.61. The game first became 50% off on Jun 12, 2014 at Green Man Gaming. Lowest historic price was $21.25 on Jun 12, 2014 at Green Man Gaming.